Sparks Volleyball Club is committed to every player within the club. Our focus is to improve our athletes as players and people as well as set them on a good path for their future after their high school career. Sparks has seen many players continue their volleyball career into college. We are willing to help set up online profiles, write introductions letters, record skill videos, and foster connections with collegiate coaches. Within our coaching staff we have college coaches and many college connections to get our athletes the exposure they need. 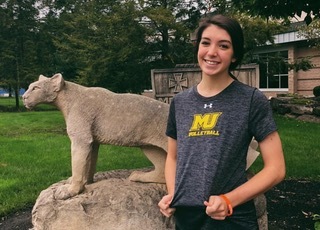 If you are interested in learning more about the recruiting process or assistance in any step of the college search please reach out to us at sparksvolleyball@comcast.net.